One of my duties in my department is to fill book bags for our Preschool Loan program and one challenge I face is picking out nonfiction books for preschoolers. Just as with fiction picture books, my library has a wide selection of nonfiction for all ages. Which ones will appeal to preschoolers? I'd like to share some of my favorites. The Pebble Plus series from Capstone is one of my favorites. 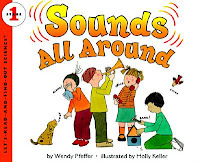 A simple text designed for beginning readers makes the text easy to share with preschoolers and the big format and bright photos in each book make them very visually appealing. More sets are coming out all the time and they cover high-interest topics like sea creatures, vehicles, dinosaurs, and many more. 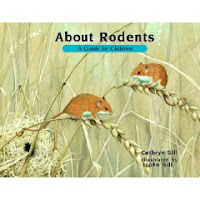 The About... series by Cathryn Sill and illustrated by John Sill is another great series with simple text and really beautiful illustrations. Each spread has text on the left page and a full-page painted illustration on the right. The text is great for a general overview and additional information is included in the back of the book. Books in this series cover many different types of animals and habitats. 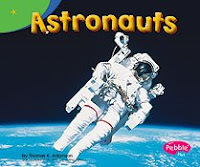 The Let's Read and Find Out Science books are a great choice for science topics. For preschoolers, look for Stage 1. Many areas of science are covered including the human body, weather, animals, plants, and more! Last, but certainly not least, I want to point you to a great list compiled by preschool math resource teacher Judy Ballweg at the Madison Metropolitan School District. Her list of Books to Nurture Mathematical Thinking (link opens a pdf!) is a great resource when you're looking for math books for little ones. Her list is one of many good ones over at MMSD's site. It's certainly been helpful to me this summer! These are some of my favorites nonfiction series and resources for preschoolers. Be sure and check out the Non-Fiction Monday roundup over at Anastasia's blog! I do love Capstone books! Two of my favorites are Dirt and Nature's Fireworks. I must say that those are the only two I own personally. I also enjoy Let's Read and Find Out About Science. I agree with you about sticking with Stage One because some of the others start to get too wordy for PreK children. I discovered your blog recently. I am looking forward to reading it more. I am also going to be new to the Library this fall. One non-fiction for preschoolers, or just the whole family would have to be "Dog Park Diary", by Kim Pearson. The stories are told in words and pictures, from a dog's point of view. My 5 year old loves it, and I'd have to say that I do too!